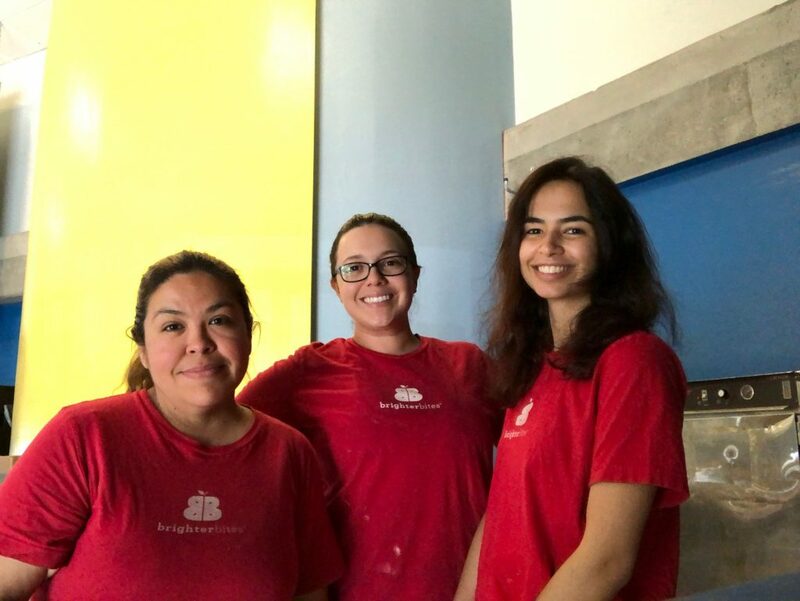 In Southwest Florida, Brighter Bites has a small but productive team of three staff members whose impressive teamwork has helped their program’s schools, students, and parents feel like one big family. Program Director Marcela Romero has been with the program since its introduction to Southwest Florida. Marcela wore all the program’s hats and performed all necessary tasks while growing Brighter Bites during its first season. Her leadership has been integral to creating an empowering working environment for her two counterparts, who always feel encouraged to contribute their ideas to better the program. You can learn more about Marcela and her experience with Brighter Bites here. Program Coordinator Rosmery Garcia joined the Brighter Bites team in September 2018. Rosmery uses her creative strengths to engage our families, teachers, and community in unique and exciting distribution experiences each week. We’re so lucky to have her on our team! Program Associate Mariana Coronado was introduced to our program as a parent volunteer. She quickly became an integral part of our program by using her great organization and leadership skills during the bagging process. Mariana always goes above and beyond to ensure that produce is counted and bagged correctly. She’s an absolute superstar with our volunteers, whom she guides through baggings each week. Thank you to our amazing team in Southwest Florida!